On 30/3/2014, General Mohamed Ibrahim, Egyptian Minister of Interior held a press conference and revealed the arrest of Muslim Brotherhood terrorist cell involved in the espionage case of Mohamed Morsi and other 35 Muslim Brothers leaders. The investigations of National Security revealed that Mohamed Morsi and some MB leaders charged Muslim Brotherhood Amin Al-Sirafy personal secretary of Mohamed morsi to smuggle classified documents concerned the arming of the Egyptian Armed forces, Documents concerned the Ministry of Defense, the National Security Agency, the national security sector, the Administrative Control Authority, the Ministry of Justice, the interest of public safety, in addition to some of the reports issued by Muslim Brotherhood headquarter to Mohamed Morsi. 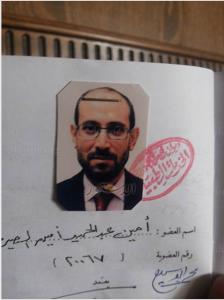 Morsi’s Secretary managed to steal the documents from presidential palaces, and moved it to one of MB headquarters, in order to smuggle the documents to The Qatari and the Turkish intelligence who support the International MB organization. The ministry of Interior arrested Amin Al-Sirafy, Mursi’s secretary before fleeing the country. He confessed that he gave the classified documents to his daughter Karima and another Muslim Brotherhood leader Ismail Sabet who were also arrested later on by the Police and in possession of some of the classified documents. Other members in the terrorist cell got arrested as well, like MB Mohamed Kilany Air Host who facilitated the docs smuggling, and Ahmed Aly Abdo Afeefy also involved in smuggling the docs. Mulsim Brotherhood Ahmed Aly Afeefy’s confession, charged of espionage with Foreign Intelligence and smuggled classified docs concerned armed forces Arming and Egyptian national security. Alaa Sablan (Palestinian MB Leader) told me that there was an issue of some documents, MB wanted to smuggle out of the country and we had to meet with Karima, and Asmaa, the responsible for all leaking recordings in Muslim Brotherhood Rassd Newspaper. I told Sablan that I personally knew the people in Rassd, and I used to meet them in MB Rabaa’s square sit-in, and I have never heard these names before. We all met in a cafiteria in Hossary area. I asked them what was the story of these documents. 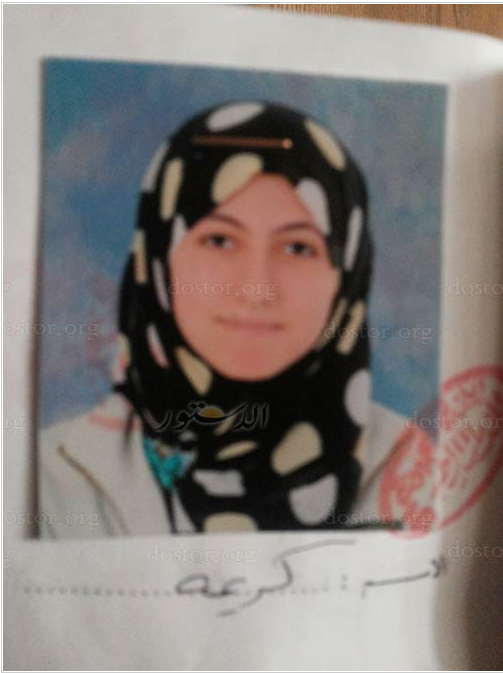 Asmaa said that she knew personally, Karima, the daughter of Amin AlSirafy the personal secretary of Mohamed Morsi. She added that they had some documents smuggled from presidential palaces and it’s just correspondences of Mohamed Morsi, and they wanted to smuggle these documents out of Egypt. And they wanted me to do the job according to Alsirafy’s and Ahmed Abd Elaty (director of Morsi’s office) instructions. Asmaa said that they had 3 bags full of Documents, and Karima was going to publish these documents through Al-Jazeera, after I manage to smuggle them outside the country. I told her that I knew a man that I can trust, met him in Rabaa’s square sit-in, his name is Mohamed Kilany, Air host and he can help me in smuggling these docs. 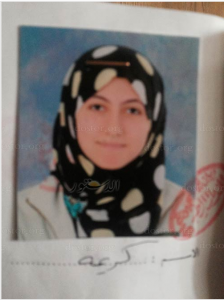 I learned from Asmaa that the documents were in her apartment in Maadi Area. I called Kilany and asked him to join our meeting. Kilany attended the meeting with us and after they explained the issue to him, we went to Maadi to get the documents. They didn’t tell me what was the content of these documents, as I said before, it was some correspondences of Morsi’s office. We set and discussed how to smuggle the documents outside the country. I called Khaled Hamdy Radwan, he is the son of Hamdy Radwan, the responsible of Muslim Brotherhood political office in Gharbia governorate and former MB parliament member. I asked him to join us too. He came with a friend of his, called Khaled Hamdi and we went to Khaled’s apartment (I provided you with the address). Others joined us too, like Abu Khaled and Ayman Gad. We opened the bags and when we saw the content of the documents, we were all in a big Shock! There were plenty of classified original documents in the bag and Abu Khaled said that these documents must disappear. Then Alaa Sablan (Mb Palestinian leader) said that he contacted Al-Jazeera news media Channel in Qatar. By the way, the one who introduced me to Alaa Sablan in the first place, was Ibrahim Almasry who works in Aljazeera channel. And the manager of Aljazeera is Palestinian too and he trusts Sablan. Sablan told me that they wanted to smuggle the Docs to Qatar, but Ibrahim Almasry told him that it is better to go to Turkey first. Sablan traveled as agreed and then went from Turkey to Doha and he stayed in Sheraton Aljazeera hotel. During this time, we were chatting on Skype. He went to negotiate with Aljazeera to sell them the documents, and to find a way to smuggle the docs to Qatar. Sablan had a meeting with the Egyptian Ibrahim Hilal Aljazeera director news sector. They discussed which documents to be published and which to exclude. Sablan was negotiating with Aljazera about the money he will get for providing these docs. He first asked for half a million dollars, then increased it to million $. I told Sablan, that I was worried and what we were doing was wrong and it was a high treason! And if we ever get caught, I will go to hell! Sablan had another meeting with the Chairman of Aljazeera in Doha, the negotiations were settled on half a million dollars. Aljazeera Chairman asked Sablan about the way the docs will reach Qatar. Sablan told him that Aljazeera is powerful and they have contacts, and they can find a way. Aljazeera Chairman told him that they must receive the original documents and not copies. He also said that we must find a way to smuggle the documents to Qatar, or turkey, or Lebanon. Sablan informed me that they paid him 20,000 USD for our pocket money and he told me that he will transfer to me 10,000 USD because I had debts and I needed the money. I told Sablan this was great, and we agreed that we can use the help of Abd Elmegid Elsaka, an Egyptian who also works in Aljazeera Channel. But we were not satisfied with the money we were going to get because we knew that the value of the documents worth much more than what we agreed on. Specially that the Qatari Intelligence were paying daily 2000 USD for Sablan’s staying in the Doha Sheraton AlJazeera hotel. The agreement was that Mohamed Kilany (air host) to smuggle the documents to Doha, and Aljazeera Chairman got us in contact with a Qatari Intelligence officer who told us that they will pay us another 50,000 USD and they wanted us to get these documents by any possible way. We were hesitating about smuggling the documents, because it was very risky, we thought it can be smuggled to Qatar through Sudan. At the end, Kilany (air host) was ready to take the documents to Doha and deliver it to the Qatari Intelligence in Doha’s airport.